1.04.19 02:55;Account;Receive;Received Payment 0.99 USD from account U20995029 to account U1294000. Batch: 255270733. Memo: API Payment. 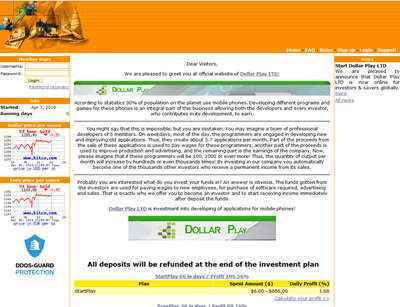 Withdraw to allhyips from Dollar Play LTD.